With same day service appointments available, our crew doesn’t miss a beat. Upon arrival, our water damage Manvel team will locate the main source of the damage and prepare a repair timeline and estimate. We want you to feel comfortable and peace of mind knowing your property is being handled and repaired by professionals. It takes water in a dark and humid area to start forming bacteria and mold spores in about 48 hours, so our team moves fast. 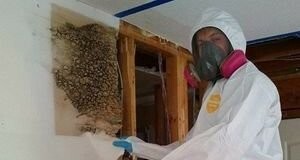 Water, bacteria, and mold can form in various areas of your property, from wall cavities and ceilings to flooring so you can expect our team to arrive fully geared and equipped, we can get to work as soon as you decide to work with us. Upon arrival to the site of the disaster and turn off the main valve, the water damage Manvel pros prepare a plan. From water extraction to drywall replacement, we do it all. With the help of advanced technology and state of art equipment, we are more than confident that we will have your property restored even better than its original condition. Cutting edge water extraction units, sump pumps, and air movers allow our team to work through each affected room thoroughly and efficiently. Once the water has been removed and the areas have been repaired the mold removal Manvel team comes in to inspect the area for visible and hidden moisture spots to prevent additional mold growth. Infrared cameras help our experts to see the areas that are not easily visible to the naked eye. Don’t let a small water leak ruin the integrity of your home or commercial space, call the water damage Manvel and mold removal Manvel pros with 911 Restoration of Houston. Our team has your best interest in mind. We want your property to be safe not only once we are done with it but for the future as well. So our water damage Manvel pros work closely with property owners so they give hands on advice on simple inspections and observances to avoid the next big potential water damage. While our water damage Manvel and mold removal Manvel team work hard to perform top notch repairs, our full-time staff works with property owners one on one as well. From scheduling same day service appointments to helping you file your water damage insurance claim, we will help you through this whole ordeal. 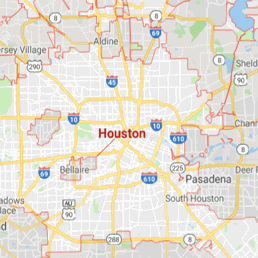 If you discover a leak in your home or commercial space, call the water damage Manvel and mold removal Manvel pros with 911 Restoration of Houston!